Step 1: Order one of our famous birdbath margaritas. Frosty and delicious, there’s a reason they’re so popular! And for those under 21, we offer mocktail (or virgin) versions of our refreshing blended drinks to help keep cool. Step 2: Enjoy your favorite meal, or try something new! The Seafood Tostada, two crispy tortillas topped with a colorful salad of shrimp, crab and guacamole, and accented with bits of tomatoes, cheese, sour cream and avocado slices, is a summer favorite. Step 3: Request a song from our strolling mariachis and sing along. 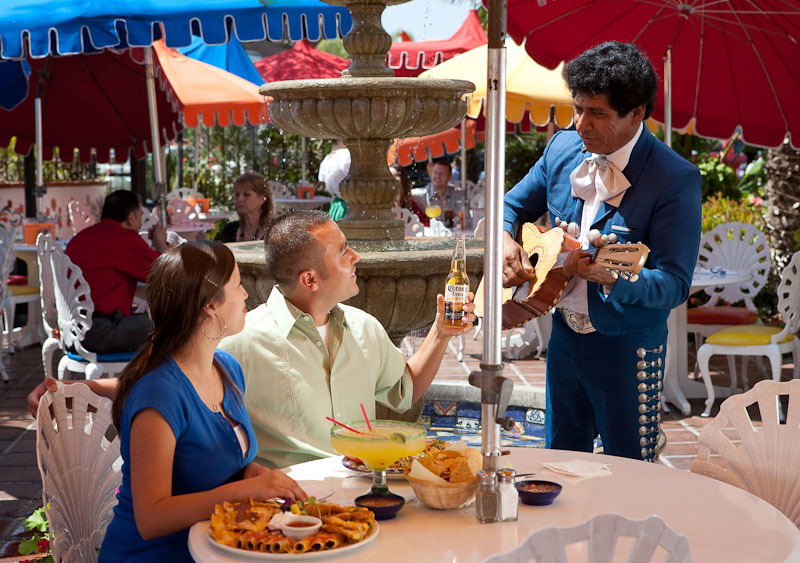 Nothing says fiesta like live music! Click HERE to see our entertainment schedule. Step 4: Relax and have a great evening! Luckily, San Diego summers stretch on way past September 22, so let the celebrations continue! This entry was posted by The Bandini on August 24, 2015 at 11:31 am, and is filed under Banquets and Catering. Follow any responses to this post through RSS 2.0. You can leave a response or trackback from your own site.